A good power inverter has several parts too look for. You will immediatley notice the various connections and possibly status and readout lights. Notice these are heavy duty connections. 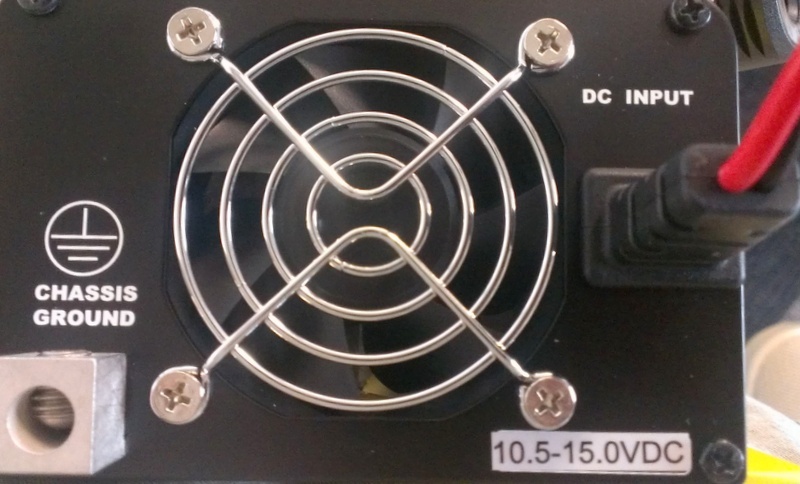 DC wiring is often heavier because of the lower voltages. Always use the recommended wire. You also see the chassis ground connection found on some power inverters in this picture. Please make sure your power inverter is installed and operated according to its manual. This allows for safe use of your inverter. Remeber these devices produces 120 Volt of AC power, so treat them with the same respect as household outlets. Go Power 1500 Watt Sine Wave Power Inverter. The right side of the picture includes a GFCI AC power outlet. This outlet can provide reliable power where shore power is not available. 3: Some sort of display or status light. 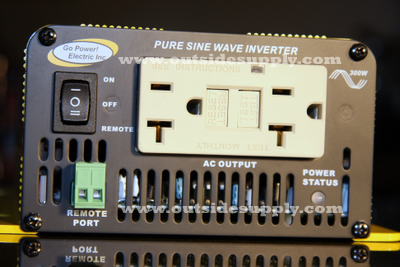 The right side of the power inverter picture includes the display for DC voltage and AC wattage. This inverter also has an ON/OFF switch. Many power inverters are also available with remotes and other accesories. Also check out our article on Power Inverter Information, it can be a great guide on picking the right power inverter for your application.